LOST FILMS is a new internet portal aimed at collecting and documenting film titles, which are believed or have been declared „lost“. 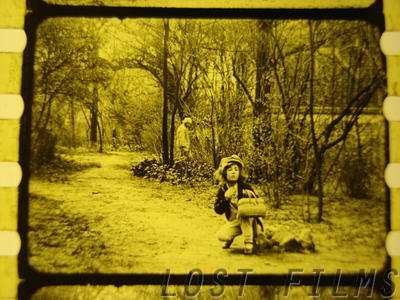 Lost Films is an initiative of the Deutsche Kinemathek – Museum für Film und Fernsehen, Berlin, funded by the Kulturstiftung des Bundes (German Federal Cultural Foundation). Its purpose is to make visible the invisible portion of film history by acting as a collaboration platform for internet users to bring together relevant information and surviving documents concerning Lost Films. The archive of titles currently contains over 3500 films believed or declared to be lost. able to amend existing information, as well as to contribute additional information and documents. Member contributions will assure the frequent and essential supply of the most up-to-date and accurate information. All visitors to Lost Films are therefore encouraged to become members. Click here to register. Dieser Eintrag wurde veröffentlicht am April 19, 2013 von SilentFilmDj in Uncategorized und getaggt mit Bundesarchiv, collaboration platform, Deutsche Kinemathek, Kulturstiftung des Bundes, Lost Films, Murnauer Stiftung.